메크네스(아랍어: مكناس)는 모로코 북부의 도시로 메크네스타필랄레트 지방의 행정 중심지이다. 수도 라바트에서 동쪽으로 130km, 페스에서 서쪽으로 60km에 위치해 있다. 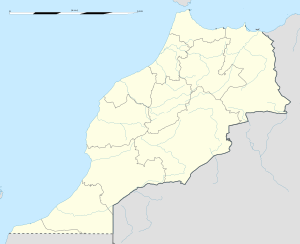 ↑ “Meknes Climate Normals 1961–1990”. National Oceanic and Atmospheric Administration. 2015년 3월 16일에 확인함. ↑ “Klimatafel von Meknès / Marokko” (PDF). 《Baseline climate means (1961-1990) from stations all over the world》 (독일어). Deutscher Wetterdienst. 2016년 1월 26일에 확인함. 이 문서는 2019년 3월 20일 (수) 17:46에 마지막으로 편집되었습니다.